I declare today will be a good day. A positive and productive day. I will look for the good things in the day. I am thankful for today. I believe our moods can be affected by what we choose to focus on. Choose to spend our energy on. What we surround ourselves with. Ultimately what we declare for the day. It’s kind of like the body. When we’re eating nothing but potato chips and fast food burgers, our body reacts negatively, feels sluggish and blah. But when we eat properly and exercise, we usually have a different result. Because we made a choice. We declared healthy living. Same with our attitudes and mood. I can fester in negativity and obsess about the “bad” in my life. Or I can declare something different. Something positive. And today, I do that. I declare hope. Hope for today. I will focus on the positive things in my life. Surround myself with positive thinkers and doers. 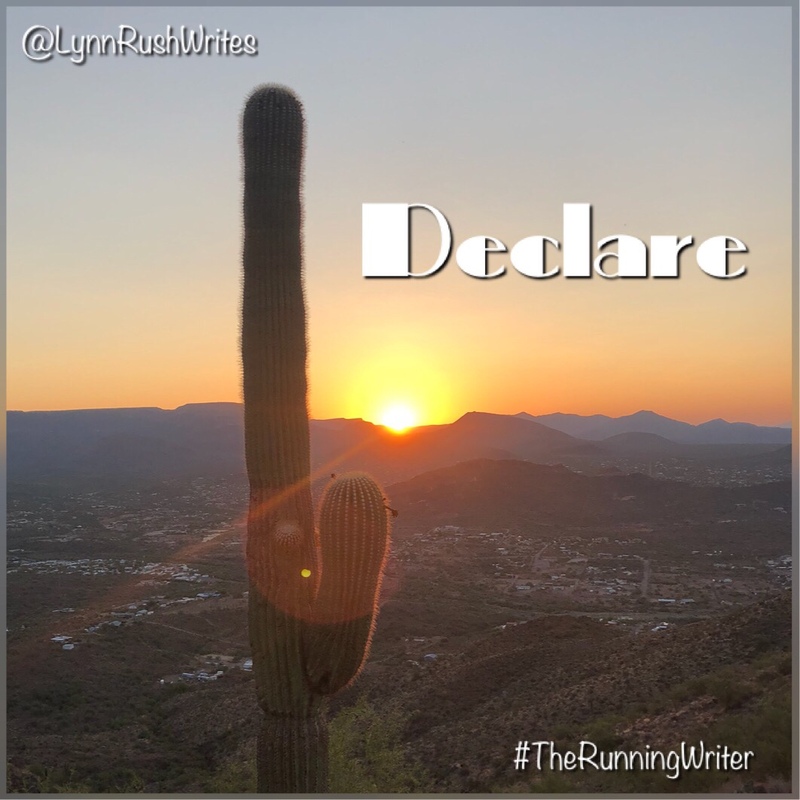 What do you need to declare for today?